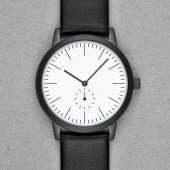 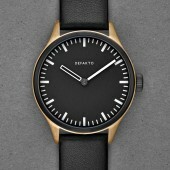 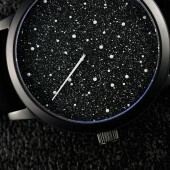 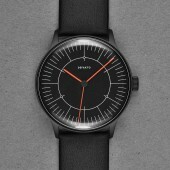 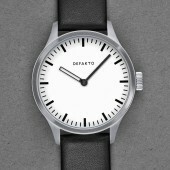 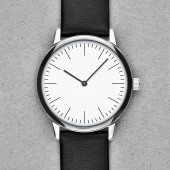 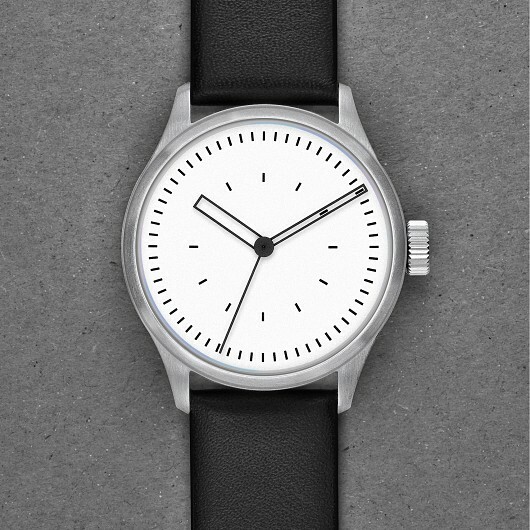 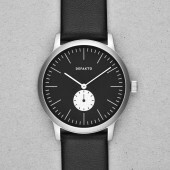 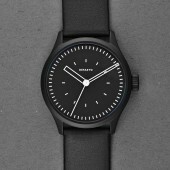 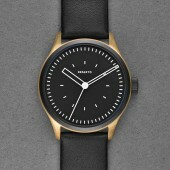 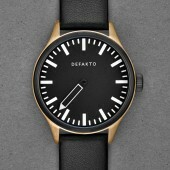 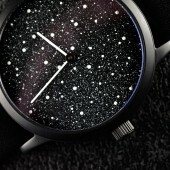 The puristic design of the Defakto Kinetik Inkognito aims to visually emphasize the interaction of its watch hands and the resulting geometrical constellations. 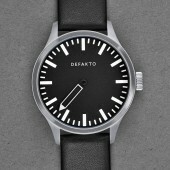 The Inkognito version provides additional minimalism by doing away with the Defakto logo. 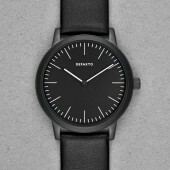 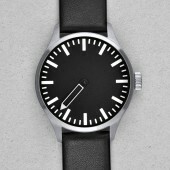 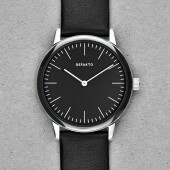 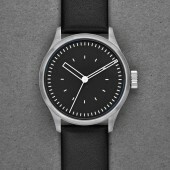 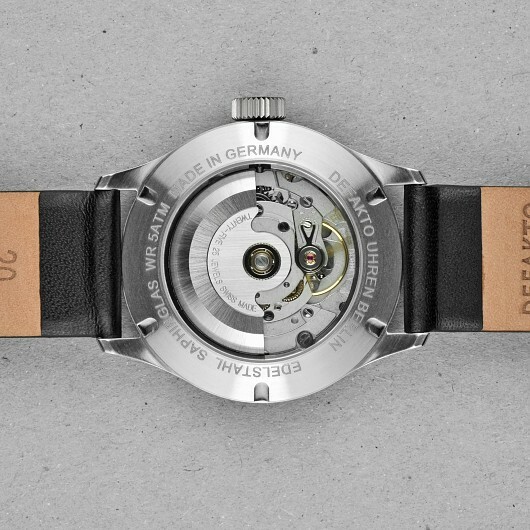 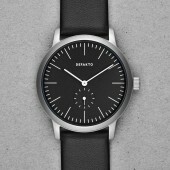 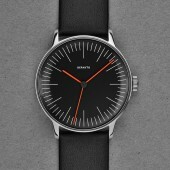 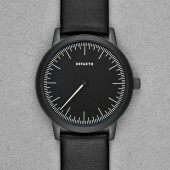 The Bauhaus-inspired Defakto Kinetik Inkognito connects all three watch hands to the Swiss-made ETA 2824-2 automatic movement via three identical disks. 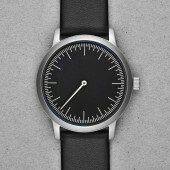 As they pass above, the skeletonized hands fully enclose minute and hour indexes of identical line strength. 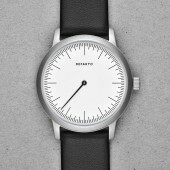 The see-through hands enable excellent, guided readability as they constantly frame the indexes, create a symmetrical pattern or interlace perfectly if superimposed. 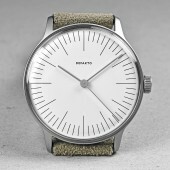 The flowing second hand brings continuous movement into the kinetic scheme of the watch, constantly generating new geometric constellations and symmetrical overlays directly on the wrist of the wearer.